When I was on the book-signing circuit for "What Hawai'i Likes to Eat" late last year, the most frequent question I got was, "Where's Muriel?" Co-author Muriel Miura stays with her daughter in Maryland for several months each fall, so she missed all the hoopla. But she's signing now. We'll both be at the Kapiolani Community College Farmers' Market from 7:30 to 10 a.m. Saturday. 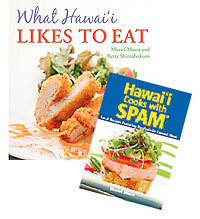 Buy our cookbook or "Hawai'i Cooks with Spam," bring one you already have, or bring any of Miura's many previous cookbooks. We'll sign anything. The Kapalua Wine & Food Festival has been named the nation's No. 3 event combining wine and seafood. Coastal Living magazine picked the Top 10 festivals for its June issue. The annual Maui event "invites sippers to tour the world's best wine regions during a tasting overlooking the Pacific Ocean," the magazine states. Kapalua followed the Stone Crab Seafood & Wine Festival in Longboat Key, Fla., at No. 1, and the Sushi & Sake Festival in Long Beach, Calif., No. 2. 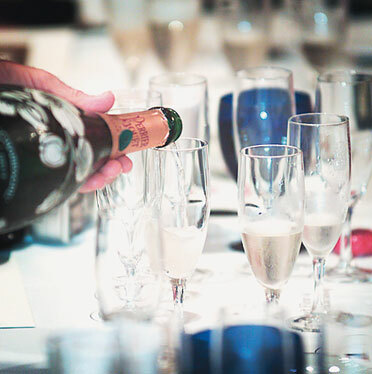 This year's festival takes place June 26 to 29, with wine seminars hosted by master sommelier Fred Dame, special dinners, wine tours and the finale seafood dinner. Guest chefs include Frank Ostini of the Hitching Post (of "Sideways" fame) in Santa Barbara, Calif.